Welcome to our very first FLASH OFFER on the Daemonic Dreams Store! If you're lucky enough to have found this page, congratulations - it won't be here for long, as we have ONLY five sets of this offer available for this silly price... once they're gone, they're gone for good! 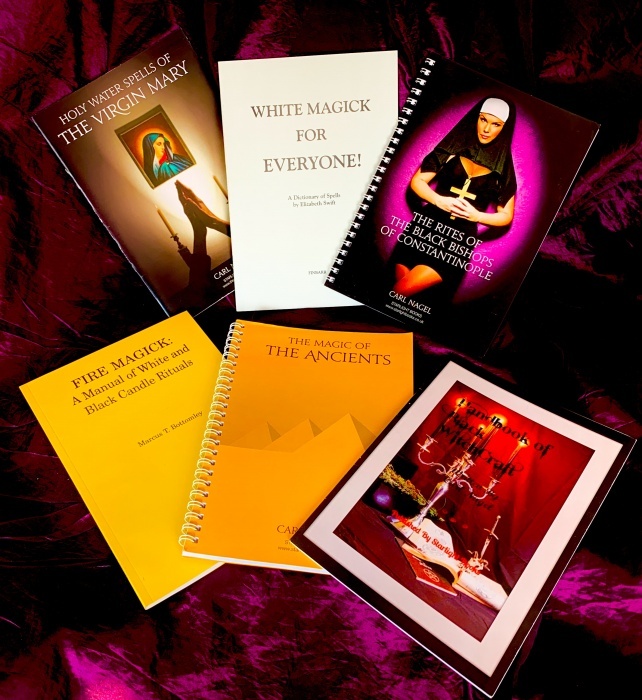 The titles in this set have been carefully selected to give a wide range of Spells, Rituals and Ceremonies, from a number of different paths and systems - perfect for the Student Occultist, just starting out, or for the Serious Collector to bolster their existing Occult Libraries! All of the titles in this set are available, separately, at standard price on our store... at a considerably higher total - order your set NOW!